Interview with His Excellency RT. HON Alhaji Aminu Bello Masari FNIM,CFR. Executive Governor, Katsina State. 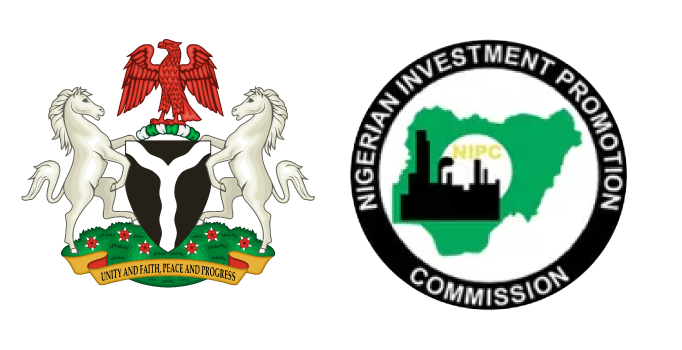 Your Excellency, we are members of the Editorial Team of the “NIPC Intelligence” newsletter, an online targeted publication of the Nigerian Investment Promotion Commission. We have noted with keen interest the excellent work you have been doing to promote investments in Katsina State after your impressive services as the Right Honourable Speaker of the Federal House of Representative. The NIPC Intelligence Team would appreciate very much this rare opportunity to learn more from you. 1. Your Excellency, many Nigerians refer to Katsina State as the most educated and influential State in Northern Nigeria. How has this translated in making your state the preferred investment destination in North Western Nigeria? Well, Katsina had in the past, the reputation as a centre of learning and especially for Islamic studies, it was, and certainly is till today. The State has trained prominent personalities that have dotted the political and economic landscape of Nigeria and even internationally. It has also been blessed with eminent sons who have been mostly public servants, so to some extent there has always been government influence by Katsina State citizens. 2. What are the sectors where Katsina State has the most comparative advantage as an investment destination of choice in Northern Nigeria? Katsina State is endowed with arable land that makes agriculture thrive, crops like maize, guinea corn and sorghum are bountifully produced, and vegetables like onions, carrots, potatoes are harvested all year round as there is also thriving dry season farming. Katsina has always been a centre of cotton production since the colonial era till today. The State provides favourable ecosystem and therefore huge destination for Renewable Energy like solar and wind, the State already has a 10MW wind farm ready for commissioning and also solar energy farm as well. There are investment opportunities in Solid Minerals, Tourism, and the Creative Arts, Property development and electricity generation. In fact for quick wins, the government gives priority to large scale rice/wheat production and processing, medium to large scale sugar production, tannery, large scale tomato production and processing, fertilizer blending plants, livestock production and meat processing etc. There is a tomato processing factory in Katsina ready for commissioning as well. 3. How have you strategically aligned Katsina State to key into the Federal Government’s Economic Recovery and Growth Plan (ERGP) in the medium and long term? Katsina State is one of the earliest States that have adopted the diversification effort of the Federal Government and has keyed into the Economic Recovery and Growth Plan (ERGP) as we have natural endowments that support the focus areas and by making the ease of doing business in Katsina very, very effective and friendly. Indeed, I am proud to inform you that, the Presidential Enabling Business Environment Council (PEBEC) has ranked Katsina State as number one subnational location in the ease of doing business ranking in Nigeria, The inauguration of the Board of KIPA today is a watershed in sustaining this position so as to attract investors into the State for a sustained economic growth of Katsina. 4. Investment Climate and Ease of Doing Business are critical issues for attracting investments in Katsina and indeed Nigeria. What have you done since you became Governor to address these issues for Katsina State? As I have said earlier, Katsina State has now a one stop centre in the Katsina State Investment Promotion Agency (KIPA) and all investors information requirements in Katsina State be it land, tax, power or all establishment procedures are handled with dispatch and there is government support for all investors at the highest level. So investors’ interests are our top priority, that is why we are top in the pack in Nigeria! 5. Katsina State is currently the 4th largest state by population, what are your policies that stimulates agricultural growth and agribusiness in your state to effectively feed and educate this growing demography? Katsina State has a robust educational policy that caters for the population of the youths, Katsina has always been a centre of learning and the legacies of past leaders of the State are sustained. Katsina State is also an agrarian State with arable land of 2.4 million hectares out of which, 1.6 million hectares are under cultivation. The State has 1121 cubic metres of water for irrigation purposes in Jibiya, Sabke, Zobe and Gwaigwaye. Katsina State is the largest producer of Cotton in Nigeria, Second largest producer of sorghum, produces 13% of total sugar cane production in Nigeria. The State ranks 12th in Micro Small and Medium Enterprises and averages a Gross State Product with average per capita of $6,022 USD. 6. Considering that the country’s economy has recently exited recession, what are the diversification mechanisms put in place by Katsina State to attract investors into your State to grow the economy? 7. Katsina State besides agriculture is known to have reasonable solid mineral deposits, and has gone far into the development of renewable energy like solar power generation, can you tell us more? As you are aware while solid minerals are the exclusive right of the Federal Government, the states have right over lands in their domains where these minerals exist. We have reasonable solid mineral deposits in the state which are currently mined at the artisanal level like Kaolin, Silica Sand, Feldspar, Asbestos, Gold, Marble, Quartz, Talc, Precious Stones and Granite all are available in commercial quantities for exploitation. Yes Katsina State has an impressive focus in Renewable Energy and has invested in both Solar and Wind Energy Farms with reasonable capacities at various stages of development some are on the verge of commissioning. 8. Access to land is one of the major issues investors face in starting a business in Nigeria. What are some of the programmes your state is implementing to address this challenge for investors? Katsina State is open for Business and the State has flexible land acquisition regime that accommodate all sectors like Real Estate, Commercial Agriculture, Tourism, Mining and Infrastructural Development. Whilst the Land Use Act of 1978 is the bedrock of the legislation for land acquisition in the State, procedure and requirements for land acquisition are simplified and include amongst others: Purchase of Form and payment of processing fees, Tax clearance certificate, Declaration of age and three passport photographs, Certificate of registration of incorporation for Companies,. However land required for religious purposes needs clearance with the emirate council. 9. Considering how vital information is to investment decisions, what are some of the initiatives your government is implementing to provide information for investment decisions? Your Excellency, it has been an insightful experience interacting with you on these germane issues of economic development of your State.